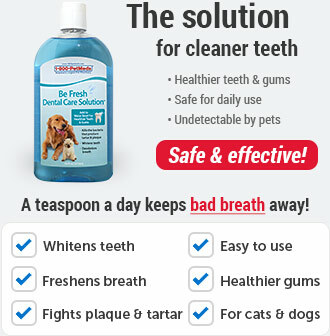 What is Composure Bite-Sized Chews? When you can't get your pet to sit through yoga classes or meditation sessions, Composure Bite-Sized Chews can help. 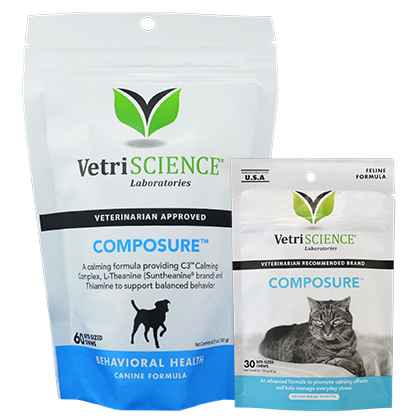 Composure Bite-Sized Chews are veterinarian-approved and used to help calm pets that are prone to anxiety, nervousness, hyperactivity or those that tend to act out when in a stressful environment. 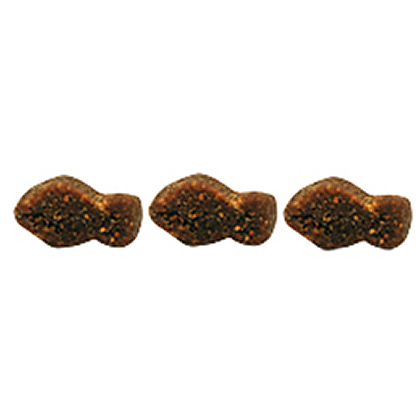 Your pets will love the chicken liver flavor, and even those with sensitive teeth should be able to handle the soft, fish-shaped chews (for cats) or bone-shaped chews (for dogs). You can give your pet 1 chew a day for ongoing support, or you can keep them on hand and give one only as needed during stressful times. Think of Composure Bite-Sized Chews as a triple cocktail of stress management and relaxation. The combination of the three active ingredients in Composure Bite-Sized Chews work together to help alleviate stress-related behavior problems. C3™ (Colostrum Calming Complex) is created from colostrum proteins, which have been found to support cognitive functioning and stress reduction. Colostrum Calming Complex in the chews works in tandem with L-Theanine to promote relaxation and cognition in cats and dogs. And thiamine is added to the formula to help manage stress and reduce irritability. They are recommended for cats and dogs that may have separation anxiety, that run for cover every time you have company, or become moody after being introduced to a new family member and dogs that urinate in the house or cats that urinate outside of the litter box when you go on vacation, or leave you special "gifts" if you interrupt his or her routine. 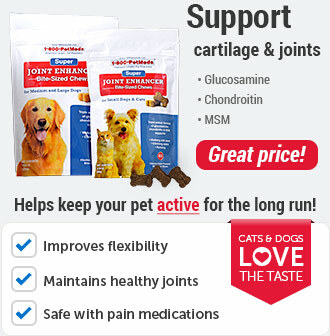 It also can also work for cats and dogs that become anxious or agitated when they go on car rides. 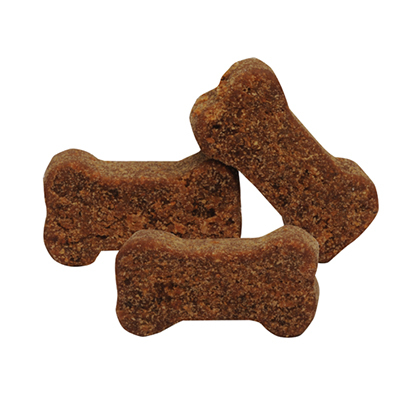 The chews are so tasty, your pet might mistake them for treats and try to eat the whole bag. To avoid accidental overdose, keep the chews out of reach of your pet. In case of overdose, contact your veterinarian immediately. Some cats may experience an adverse reactions to the chews, such as increased hyperactivity. If this should happen, you should discontinue use. If your pet's condition or behavior worsens or does not improve after giving Composure Bite-Sized Chews, discontinue use and consult with your veterinarian. Safe use in pregnant cats or dogs intended for breeding has not been proven. If your pet's condition worsens or does not improve, stop administration of Composure Bite-Sized Chews and consult your veterinarian. Keep out of reach of children. Composure Bite-Sized Chews are a calming support supplement for pets. 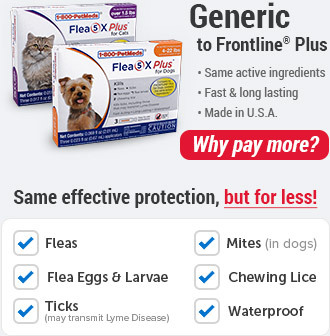 Many veterinarians recommend it for animals exposed to increased environmental stressors. Using the chews may help pets adapt to stress, lessening or eliminating the negative behaviors often associated with stressful situations and lifestyle changes. Composure Bite-Sized Chews are a non-prescription (OTC) product. Give 1-2 Composure Feline Bite-Sized Chew daily for cats (all weights). Give 1 Composure Bite-Sized Chew for Dogs daily to dogs up to 50 lbs, give 2 chews daily to dogs 51-100 lbs, give 3 chews daily to dogs 100 lbs or over. It is safe to double or triple the dose in times of increased stress. Not to be used in pregnant animals. Not to be used in animals experiencing diarrhea. 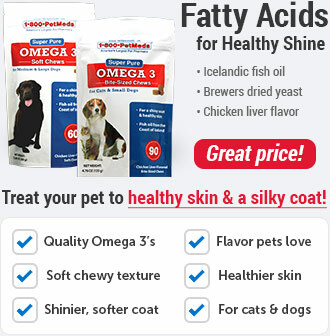 If pet's condition worsens or does not improve, stop product administration and consult a veterinarian. An examination by a veterinarian is recommended prior to the use of this product. Your cats and dogs might think the chews are treats and try to eat the entire bag. To avoid accidental overdose, keep out of reach of your pets. 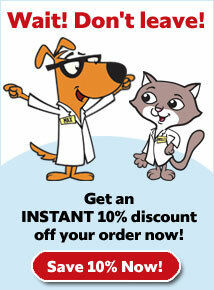 Contact your veterinarian or veterinary emergency room right away. Store this product in a cool, dry place. Keep out of the reach of children. If you have an anxious or over-stressed pet, use this product as needed for immediate support (like vet visits or car travel) or on a daily basis for long-term, ongoing support. During times of increased stress, you can double or triple the dose if necessary to help keep your pet cool, calm, and collected. For a more relaxing experience for both your pet and the groomer, give to your pet right before going to the groomers. 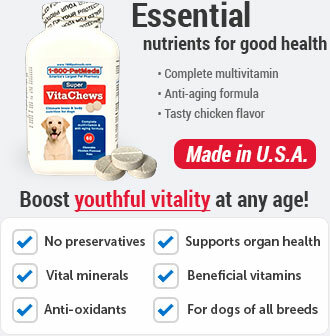 Other Ingredients: Brewers yeast, calcium sulfate, canola oil, chicken liver flavor, citric acid, glycerin, maltodextrin, mixed tocopherols, propionic acid, rosemary extract, silicon dioxide, sodium alginate, soy lecithin, vegetable oil.